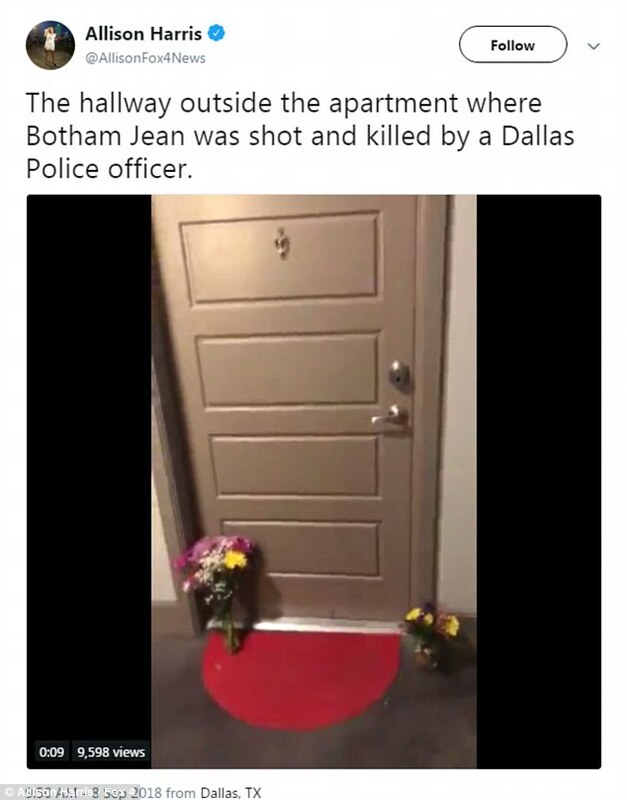 The Dallas cop who shot and killed her black upstairs neighbor missed signposts in the parking lot of their apartment complex that would have showed her she was on the wrong floor, DailyMail.com can disclose. 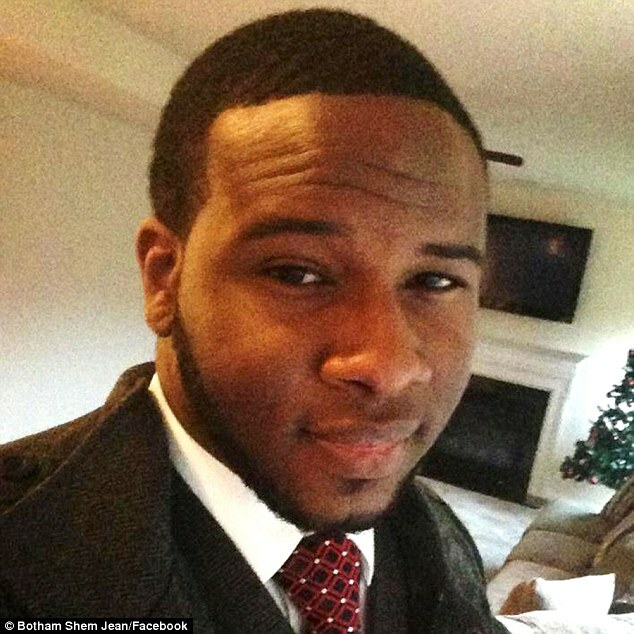 Amber Guyger, 30, claimed in a sworn affidavit used as the basis for her arrest warrant that she had accidentally parked on the fourth floor instead of the third – and thus mistakenly made her way to Botham Jean’s apartment which is located directly above hers. 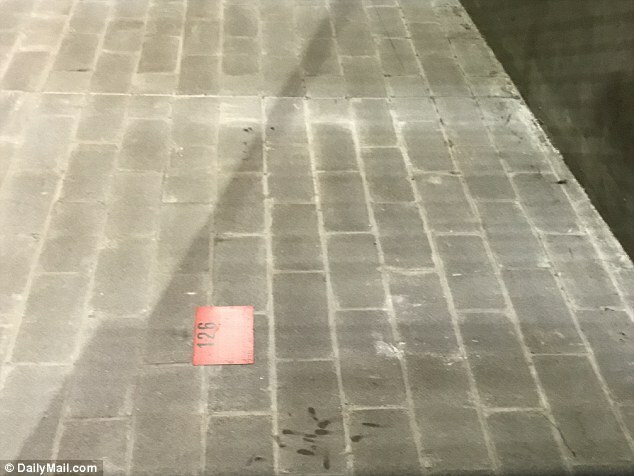 But photos obtained by DailyMail.com show that each space is clearly marked with the floor number – one through five – with the bright red numbers painted on the wall at eye level. Although access to the visitor level on the ground floor is open, those attempting to get to the residential floors must use an electronic pass. 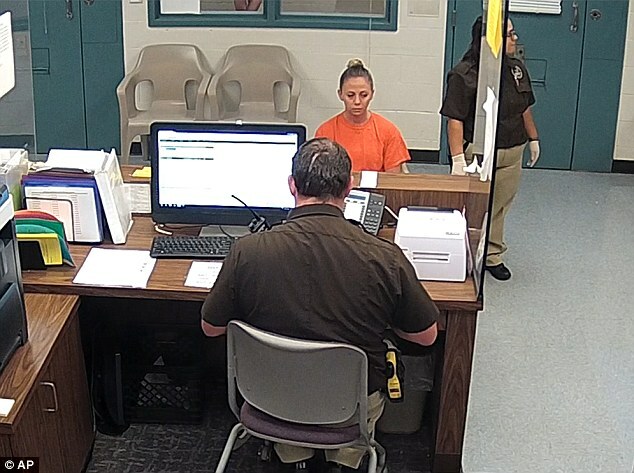 Dallas police Officer Amber Guyger getting booked after turning herself in Sunday, September 9 following the fatal shooting of Botham Jean in his own apartment. Once inside the complex, apartment signs are clearly illuminated and are placed to the left of each door with the number at eye level. Guyger claimed she had not realized she was attempting to enter apartment 1478 instead of her own – 1378. She also insisted that the door was slightly ajar and swung open when she forcefully inserted her key into the lock. Once inside, the 30-year-old cop says she saw a ‘dark silhouette’ which she assumed to belong to a burglar and opened fire after Jean, 26, ignored her commands. But as DailyMail.com previously revealed, her official statement contains a number of inaccuracies – including that the door could have been left ajar. 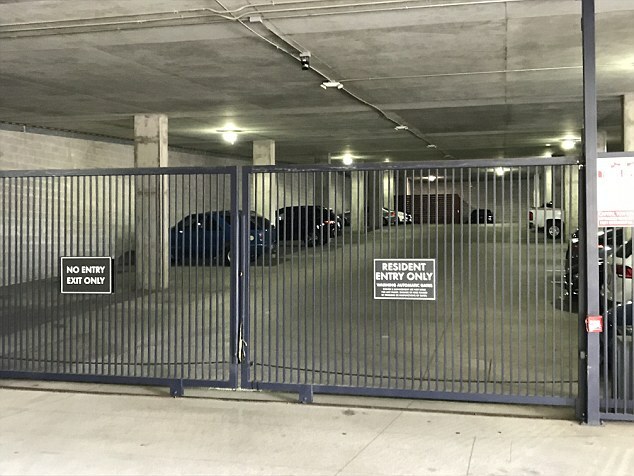 A video created with the help of a neighbor shows that the heavy metal fire doors – identical to every apartment in the Southside Flats complex – automatically slam shut when let go. In a second film, it is clear that the electronic key Guyger claimed to have shoved into Jean’s lock would not have unlocked his door and would have flashed red – another indication that she was in the wrong place. The neighbor, who lives two doors down and asked not to be named, said: ‘These are 20m fire doors. You can’t really leave it open. ‘The key situation too – you can’t get into any place, you can’t – it’s impossible. You can put it in but you can’t open it. Unlike Jean, who had a bright red mat directly outside his door, Guyger did not have a mat or any sort of personal touch outside her own front door. In a further twist, a newly released Dallas Police Department search warrant for Jean’s apartment appears to contradict the account of the incident included in the arrest affidavit. 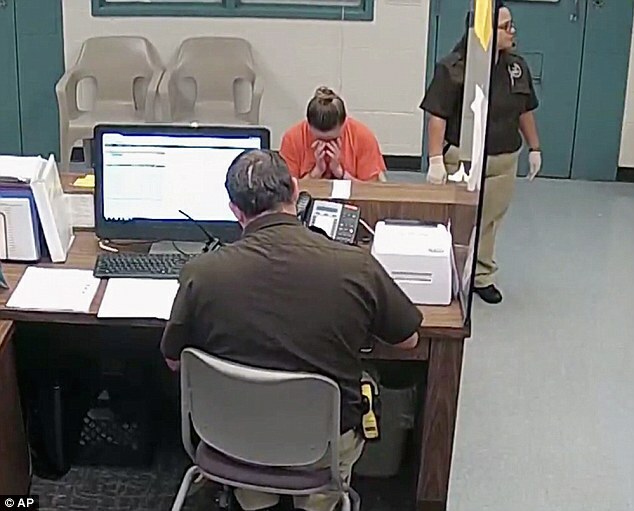 Police officer Angela Arredondo writes that Guyger, dressed in full uniform, had been attempting to enter the apartment using her keys and was ‘confronted at the door’ by Jean. Guyger had told the Texas Rangers that she let herself in before spotting Jean inside. It adds: ‘The neighbor said he heard an exchange of words, immediately followed by at least two gunshots. ‘The officer possibly believed the subject was an intruder, drew her service weapon and fired at the subject, striking him in the chest. The account would appear to back up that of Jean family attorney Lee Merritt, who says he has statements from two neighbors who say they heard Guyger screaming ‘Let me in, let me in’ before opening fire. The search warrant also listed a number of items recovered from Jean’s apartment, among them two spent cartridge casings and two used medical kits. Controversially, it also revealed the presence of a quantity of marijuana and a marijuana grinder – the listing of which was described as an attempt to ‘smear’ Jean’s memory by his family’s lawyers during a press conference in Dallas on Friday. Toxicology tests were done at the scene on Guyger but the results are yet to be released and the tests may not have been completed. Jean, who was a banking executive with PriceWaterhouseCoopers in Dallas, was memorialized yesterday at a touching service in Richardson, Texas. During the service, his uncle Ignatius Jean used his eulogy to slam Guyger, telling the congregation that it was a tragedy his nephew died at the hands of one dedicated to protect and serve. Guyger remains in hiding and is thought to be staying with her parents in Arlington. She is yet to comment and has repeatedly declined to answer calls placed by DailyMail.com.